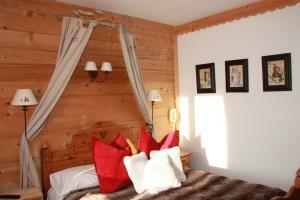 This warm and pleasant chalet is just a 10-minute walk from the Jaillet ski-lifts and the centre of Megève and offers a splendid view of the resort and the mountains. All guestrooms were completely renovated to offer high-quality comfort. Rooms are equipped with satellite TV, free Wi-Fi internet access and a terrace that provides a panoramic view of the surrounding area. For tea time or an evening aperitif, the hotel features a cosy bar with a fireplace. The hotel restaurant serves traditional and regional specialities in a relaxed atmosphere. 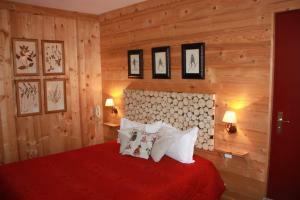 There is also a sauna available and a large terrace, open all year, that overlooks the beautiful surrounding mountains.